When you have a busy day of projects around the house and you don’t want to fuss in the kitchen…what do you cook? My favorite go-to meal is Ridiculously Easy Roasted Chicken! Served up with yams or sweet potatoes and a veggie….nothing could be simpler and more perfect for a hearty appetite. 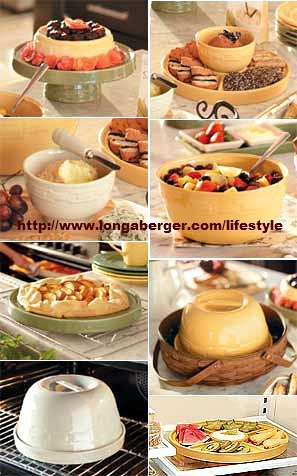 Longaberger Woven Traditions Pottery is the key ingredient for a sumptuous yet easy meal. Longaberger has been an important part of my life for a long time. I love the baskets and pottery so much that I became a Longaberger Consultant. But, don’t worry…I’m not pushy, or selly, or annoying. At least that is not my aim. I just like sharing about a product I love. And when you love something…you want to share it with others. That’s what I do. Each week I send an e-newsletter to my customers. It occurred to me that it would be fun to turn that into a weekly blog post. This will be the first one featuring Longaberger products. One thing that I know for sure is that I don’t want this to be all about me and Longaberger. I’d love to hear your thoughts. Please chime in. It would make my day!! Every month there are fabulous finds and new introductions of Longaberger Baskets, Pottery, and accessories. And June is one of the best…. I am truly head over heels in love with Woven Traditions Pottery. Even my husband raves about it. Sure, there are the wonderful features like it’s vitrified so that it’s crack, craze, and chip resistant. But, what we love is that it’s always beautiful and shiny…I do like shiny. We love that it cleans ups and keeps looking like the day it arrived on our doorstep. I like new. Shhh…don’t tell…but I want my old stuff to look like it just came out of the box. Do you think I’m silly? We also love that it bakes better than anything. Evenly. Stays hot longer. And makes everything look fabulous. As I always say…presentation is everything. 😀 Can you tell I’m in love? Did you know that you can roast the perfect chicken in Woven Traditions Pottery? Currently I’m using a retired WT Covered Roasting Dish that is several years old. It roasts the most juicy suculent chickens you’ll ever want. And the best part, it’s easy. Ridiculously easy. The roaster is no longer in the line…. But…we have something in the line that is even better now. It has a ton of other uses besides roasting meat. It’s the 8-in-1-Entertainer. And yes, it’s on SALE too. I know you’re waiting for the recipes. So, let’s get to it! Plop it in the 8-in-1 Entertainer Bowl – handle side down. Pull the chicken out when the timer goes off and let it rest. To make it easy to get out of the dish, I take a long handled wooden spoon and stick it inside and carefully lift the chicken out, holding it briefly over the baking dish while the juices run out, and place in on the WT Handled Platter. Don’t forget to use those valuable juices for gravy or for your noodles. Massage your chicken with butter or olive oil. Sprinkle a few teaspoons of Parmesan Garlic Seasoning Blend over the bird and evenly rub it in. Pull the chicken out of the oven when the timer goes off and let it rest, place it on the WT Handled Platter. Serve with salad and our favorite – yams or sweet potatoes which I washed, poked with a fork, and threw into a 8×8 or 9×13 Baking Dish and cooked at the same time for the same amount of time in the same oven. When you invest in an 8 in 1 Entertainer, you will use the many pieces for a multitude of entertaining scenarios. Be sure to take a second peek at the photos above! Of course you’ll want to treat yourself to the super practical always in use 8 in 1 Entertainer. I have no doubt that every bride would be thrilled to receive the set for a gift as well. Tuesdays & Wednesdays we feature online ONLY specials. Go to my website anytime between Noon EDT & Midnight Tuesday & Wednesday…but shop early if possible…often quantities are limited. What is your go-to dinner for a busy day of projects around the house? Will you try my Ridiculously Easy Recipe for Roasting a Chicken? We are big Longaberger fans around here. I had my first party ages ago when hostesses got a boatload of baskets for a good party! I also have two nieces who are sales reps. Your recipe looks good! It’s fun to meet Longaberger fans!! The benefits are still wonderful. And now, a gal doesn’t even have to clean her house to reap those benefits. We can do it ALL online now, too! What’s your favorite LB basket?